The 5th Asia & Oceanic IRPA Regional Congress on Radiation Protection (AOCRP-5) was indeed an opportunity. Back at our workplaces, in our labs, or behind the desks, many participants like me would be remembering AOCRP-5 activity packed program. 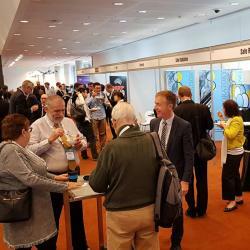 So much knowledge was exchanged from 20-24 May in Melbourne - starting early with the refreshers, listening to the experts in the field, viewing posters and exhibition, exchanging news and views with professional colleagues, and then a visit to the Australian Synchrotron. A big thank you to the organisers, speakers, and presenters for making this happen. Safe Radiation strongly believes in professional interaction for developing the skills of its staff. 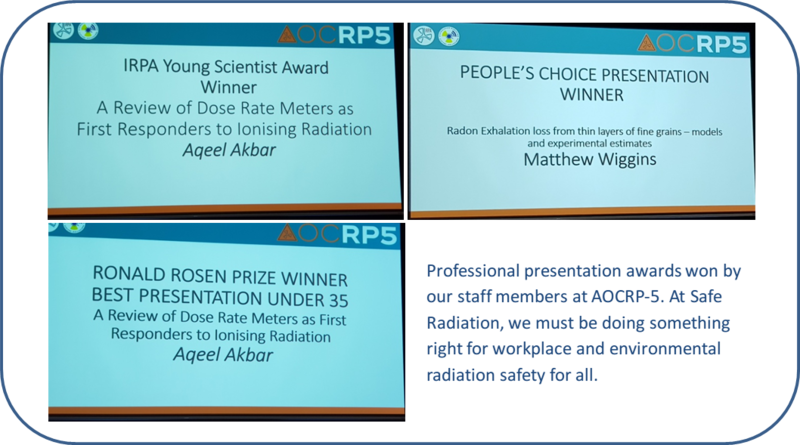 Four staff member from Safe Radiation participated in AOCRP-5. Three oral presentations and a poster with our staff contributions were well received by our colleagues. 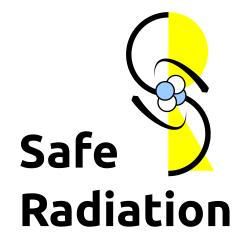 Safe Radiation was also a proud exhibitor at AOCRP-5. We would like to thank everyone that took their time during the congress to drop in at Safe Radiation booth. If you missed out in going to this event, or didn’t get a chance to meet us; our doors in Brisbane are always open with a coffee in hand. We are only an email distance from you and a phone call away.